On February 4, 1959, thirty-five choral directors met in Kansas City, Missouri, for the purpose of establishing a national organization of choral music directors. The meeting, held in conjunction with the National Convention of the Music Teachers National Association, produced our first constitution and bylaws as well as the structural framework which would allow for the monumental growth of our organization. While it was originally designated the American Choirmasters Association, Elwood Keister proposed that the organization be named the American Choral Directors Association. The eighty-one officially designated charter members thus launched what was to become one of the world’s most significant influences in choral music. In the year following the organizational meeting, President Archie Jones guided the activities that focused on preparation for the first national convention, which was held on March 16-17, 1960, in Atlantic City, New Jersey. 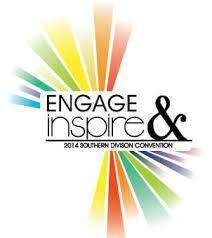 This meeting was held in conjunction with the National Convention of the Music Educators National Conference. The late Harry R. Wilson and R. Wayne Hugoboom were responsible for the convention program, which proved to be successful beyond all expectations. 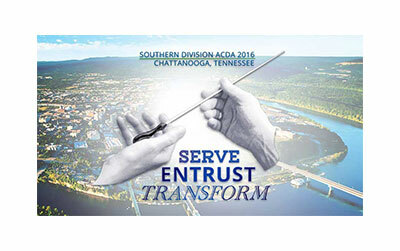 The success of our first national convention and the subsequent success of following conventions proved to be major factors in the early growth of ACDA. The initial activities of ACDA included the structuring of geographic divisions paralleling MENC’s regional designations. The first Southern Division Conference, which included the original eleven states of the current divisional structure, was held in Asheville, North Carolina, with Wayne Hugoboom and Elwood Keister as co-chairmen for the meeting. Subsequent Southern Division conferences in the 1960s were held in Charleston, West Virginia; Louisville, Kentucky; Atlanta, Georgia; and Mobile, Alabama. The first Southern Division Convention held independently from MENC’s divisional conferences met in Atlanta, Georgia, March 19-20, 1970, with Richard Cox as Chairman. 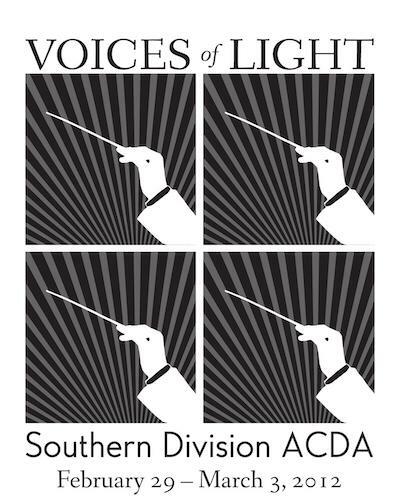 Since that time, the Southern Division has continued to exert significant influence upon the steady growth and development of our ACDA.